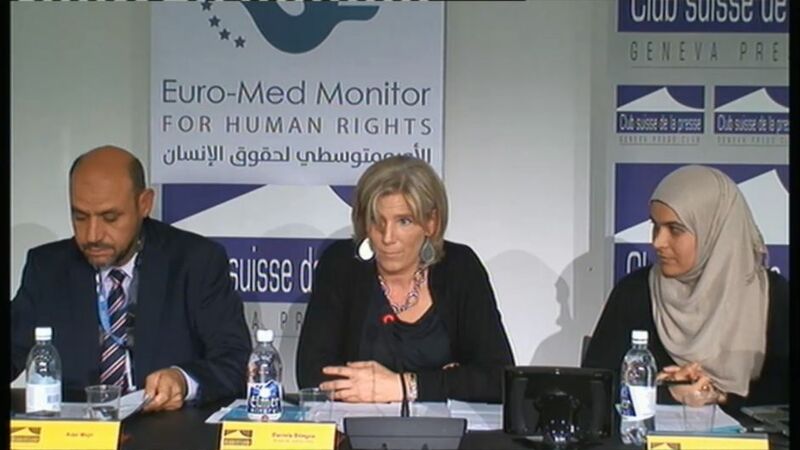 The report summarizes the results of Euro-Med’s investigations into recent Israeli human rights abuses in the occupied Palestinian Territories. Featured at the press conference were video footage and photos illustrating the harassment and killing of Palestinian civilians involved in political protests during the last two weeks. While the Israeli government has to date escaped serious accountability for repeated human rights violations, “citizen journalism”—in which excessive acts of force are caught on camera—now is making it more difficult for the acts to be obscured or brushed aside, says the report. Thirteen-year-old Ahmed Manasra, who was run over by a car and beaten with sticks and metal pipes, then deprived of any medical care for 25 minutes. The Israelis claimed he tried to attack their soldiers, but video recordings show otherwise. Instead, he is seen lying on the ground, bleeding and calling for help. Sixteen-year-old Marah Bakri also was accused of trying to stab an Israeli soldier, but widely circulated photos calls that claim into serious question. In one, nine soldiers pointing guns surround the young girl, covered in blood on the ground. The authorities refused to produce its evidence of a crime. Israa Abed, 29, is another alleged knife-wielding attacker. Surveillance video footage shows only a terrified young woman who panicked when ordered to remove her hijab, a sign of her religion. She refused, but threw up her hands. Abed was shot by four bullets. Fadi Samir Mustafa Alloun, 19, another accused stabber, was actually chased by a group of enraged Israeli settlers. The police came to protect the settlers, not Fadi. Video recordings shared on Israeli websites show the settlers before the police shot him. 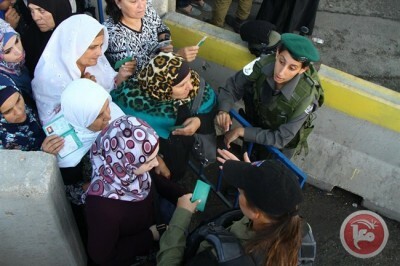 Hadil Alhashlamoun, 18, was passing through a checkpoint when she set off a metal detector alarm. There are conflicting witness accounts regarding whether the girl had a knife, but photographic evidence and eyewitness testimony is clear that she posed no risk. While she was lying on the ground, two soldiers shot bullets into both knees, her right thigh, her pelvis, her abdomen, both forearms and her chest. Twenty-five-year-old Muhammed Bassam Amsha, also was passing through a checkpoint when he was killed. Soldiers claimed they had photos showing the young man had a knife, but refused to produce them. Tha’er Abughazaleh,19, did indeed stab a soldier in rage and frustration. But instead of then running away from police, leading them to shoot, photographic evidence suggest he was unnecessarily shot point blank in the head. Falah Hamdi Zamel Abumaria, 53, was shot and killed in his home when the Israeli military came to seize his son. Despite the official story that the Israelis were attaced by the older man, eyewitnesses tell the truth, that Abumaria was trying to defend his son—with a pottery vase. For that, he was shot three times in the chest.